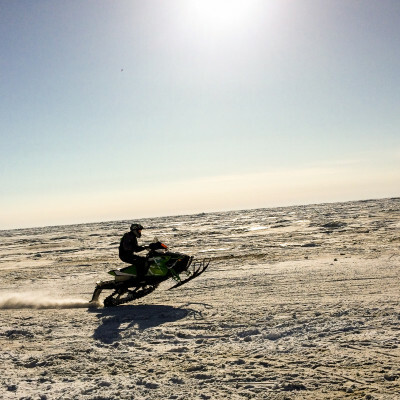 The overall champion of this year’s Archie Ferguson/Willie Goodwin Sr. Memorial Snowmachine Race out of Kotzebue was Tre West of Nome, with a time of two hours, 23 minutes, and 42 seconds. 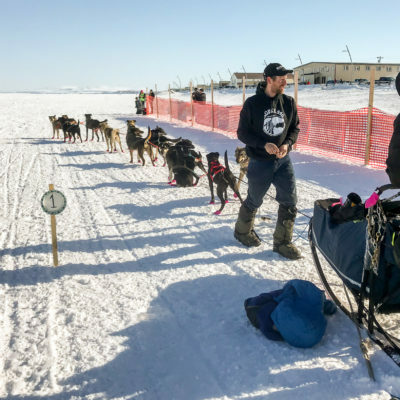 Only 16 mushers will compete in this year’s Kobuk 440 Sled Dog Race, starting from Kotzebue on Thursday afternoon. 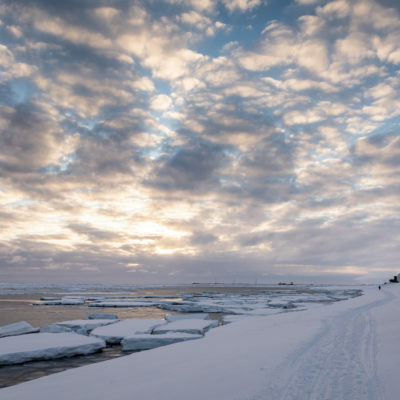 Out of more than a century of climate data, 2019 saw the warmest March ever recorded for the city of Nome. 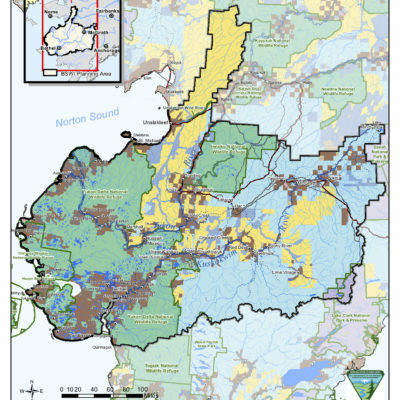 62.3 million acres of land stretching from Denali National Park to the Bering Sea are included in the Bureau of Land Management’s latest draft plan for the Bering Sea-Western Interior. Governor Mike Dunleavy and members of his administration, including the Directors of the Department of Revenue and the Office of Management and Budget, spoke with KNOM prior to the public forum on Wednesday. 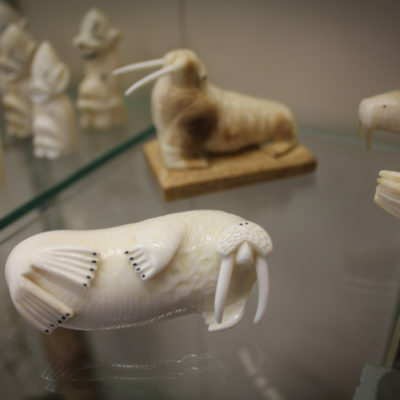 Dunleavy’s approach to the budget, its potential impact on programs in Western Alaska, and the governor’s proposed constitutional amendments were some of the topics discussed. 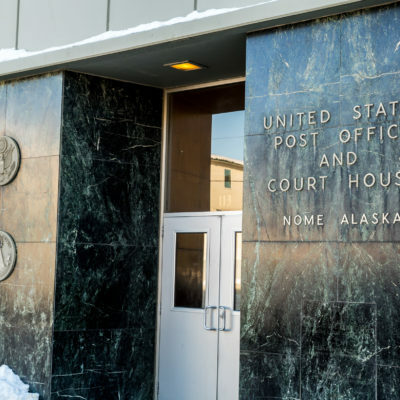 Brenda Evak addressed the public yesterday afternoon prior to her scheduled appearance at the Nome courthouse. 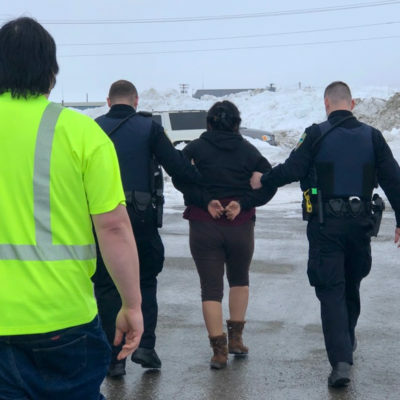 Evak was arrested at the Nome airport on Wednesday on allegations of disorderly conduct in her confrontation with Governor Mike Dunleavy. 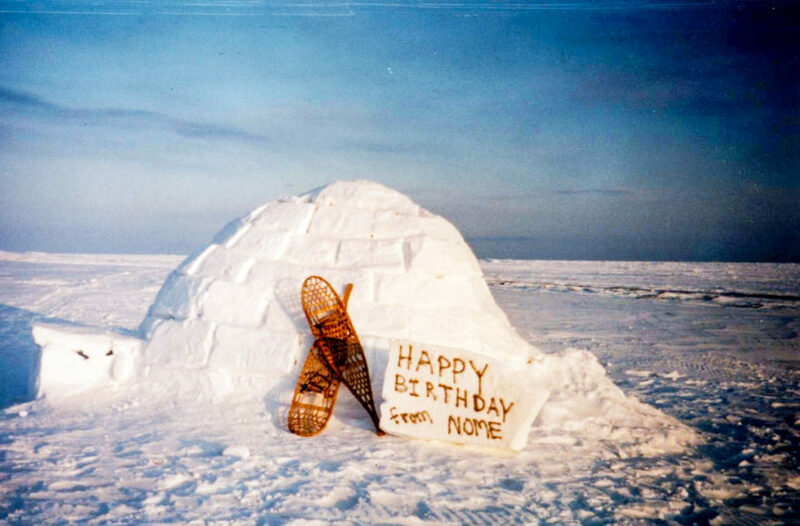 Ultimately, the charges against her were dropped, as Nome’s District Attorney John Earthman decided not to pursue the case. Mountain Village’s Native Corporation building lies dormant as the head of its Board of Directors is being sued for not holding an annual shareholders’ meeting. 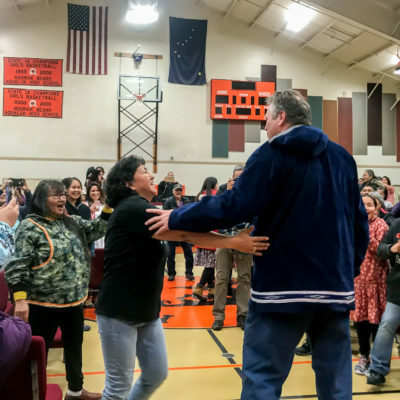 During Governor Mike Dunleavy’s visit to Nome yesterday, which was one of his scheduled “roadshow” stops around the state, he was greeted at the airport by Brenda Evak, who was ultimately taken away in handcuffs for alleged disorderly conduct. 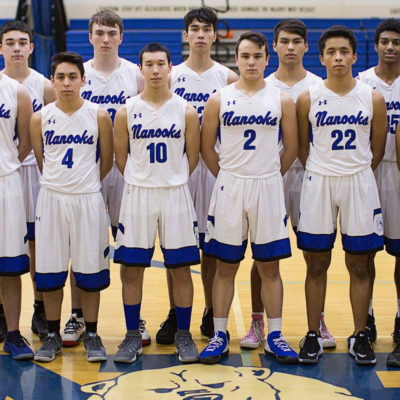 Too many turnovers led to the Nome Beltz boys’ 60-to-36 loss to Eielson yesterday in the 3A State Basketball Tournament. Coach Pat Callahan says the Nanooks gave the ball away 26 times during that game, but they had a chance for redemption today during a consolation game.